The Governorship of PPA, Mr Godwin Ezeemo says he is satisfied with the conduct and outcome of the Governorship election areas already concluded. Speaking to journalists at his country home, Umuchu, Aguata Local Government Area, Mr. Ezeemo said he was also in full support of supplementary election in areas declared inconclusive. He called on those threatening thunder and brimstone because they lost election to respect the will of the people, even, when, according to him, some were influenced with money. Mr Ezeemo said the conduct of the election was remarkable improvement on previous elections and noted that INEC demonstrated genuine commitment to deliver free and fair election. He noted that people of the State have made their choice and enjoined those calling for cancellation of the entire exercise to respect the mandate of the electorate. The PPA Governorship candidate advised INEC to computerize the election process to eliminate sharp practices and controversies. 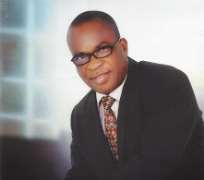 Condemning those sponsoring any form of protest against the election, Ezeemo said that it was not what Anambra needed at this point in time and called on the people of the State to shun external influence that are interested in destabilizing the State.